Lord, how long will I call for help and you not listen? because the wicked surround the righteous. Justice becomes warped (Habakkuk 1:1-4). It might seem a strange place to begin—lament. But the prophet is wise to begin here. As we enter a season in which there is much to do. There is much to choose from. There is much we could busy ourselves with, to keep from seeing the pain around us, to keep from feeling the pain within us. It is an act of courage to take a look at the world around us and tell the truth about what we see. Can you feel it? Do you carry this prophet’s questions in your bones as you face the realities of the world? What do you see in the world that causes you to lament? Advent begins with lament because our laments address what has gone terribly wrong. Our laments tell the truth about the great and growing gap between what is right and just and the reality in which we live. The prophet cries out to God because God promised goodness and mercy; God promised beauty and wholeness; God promised justice and justice is broken. We begin Advent with lament because we’re paying attention. We can see with our own eyes what isn’t yet right, and this creates a deep sense of discomfort, a dissonance within us. This dissonance is what draws us into an advent season… a waiting season… a season of longing. If we weren’t awake, we wouldn’t know to grieve. If we weren’t uncomfortable, we wouldn’t know we are waiting for something. And finally, if we didn’t have hope we wouldn’t cry out to God. for it is surely coming; it will not be late (Habakkuk 2:3). Emmanuel – God with us. God is coming. Can you feel it? Do you carry this prophet’s longing in your bones as you embark on this Advent journey? Is there any hope? What gives you hope? O God, hear our prayers. Amen. 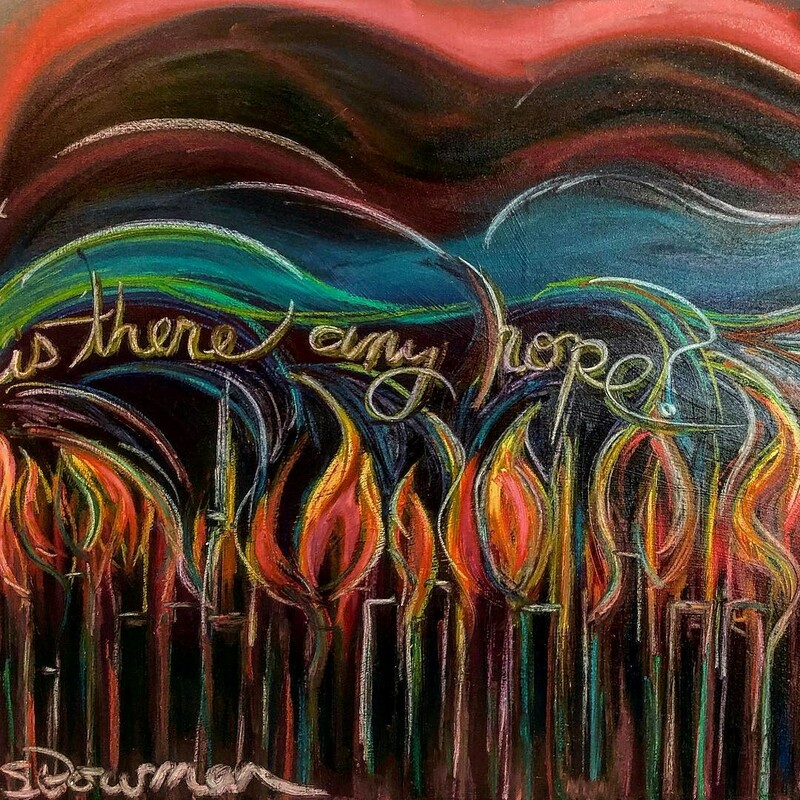 Shawna Bowman is an artist and pastor doing ministry with the creative and justice-seeking folks at Friendship Presbyterian Church in Chicago and co-founder of Creation Lab, an Art Collective and working studio space at the intersection of creativity, spirituality and prophetic imagination. Shawna is also Affiliate Faculty and Associate Director of Experiential Education at McCormick Theological Seminary.